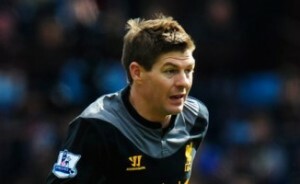 It has been revealed that Liverpool boss Brendan Rodgers is delighted for Steven Gerrard over his imminent testimonial. The England international midfielder will be honoured by the Reds when Olympiacos come to Anfield on Saturday, August 3. All proceeds raised will go to charity. “He thoroughly deserves it,” said Rodgers. “He’s been an incredible player for the football club and like the man that he is, he didn’t want the testimonial to get in the way of our preparations.